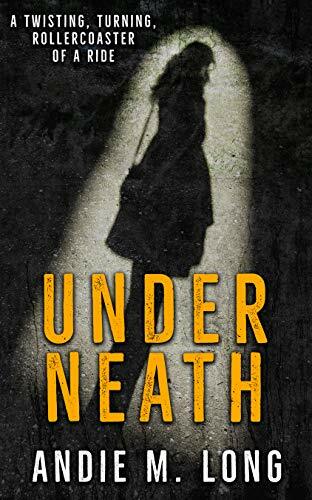 “Gripped me so hard I have bruises.”“A gripping thriller, filled with twists and turns.”The book that will make you look closely at those around you – including yourself.It’s a standard grown-up situation. Lauren has a family, work, a great friend and… she’s bored. Then Bettina, her old school frenemy returns to Sheffield. She says she’s back escaping a violent husband, but best friend Monique doesn’t buy it and warns Lauren to be careful. As Lauren’s husband Niall seems to get ever more distant, her son’s new teacher, the outwardly nerdy looking Seb proves to be a hidden attraction.Secret notes are posted, her business ruined. Slowly a vendetta threatens everything Lauren has taken for granted. It’s a race against time to discover who she can trust when her enemy threatens the life of the person Lauren loves the most. But is Bettina the enemy? How much does anyone ever really know about those around them, what’s underneath?